When the Magazine Publishers of America launched an ad campaign that illustrated even though life would be very different in the future and that people would still be reading magazines, online magazine ZOOZOOM spoofed the campaign and talked about how life is right now and that people are reading magazines online right now. 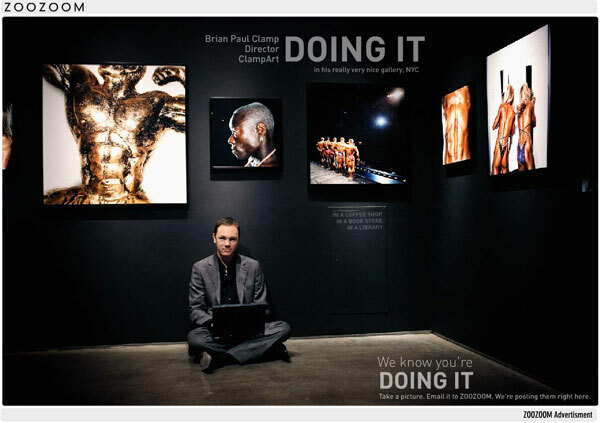 ZOOZOOM has extended that spoof into a real campaign, taglined "Doing It," which shows people online in various scenes. There's also a video that illustrates how magazines aren't even good at killing a fly anymore.